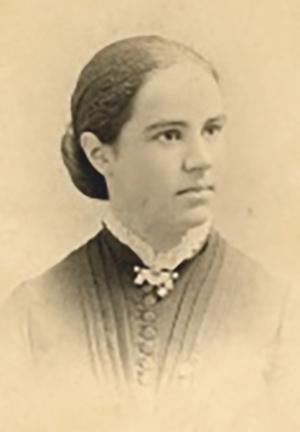 Today marks the birthday of American astronomer Antonia Maury in 1866. She was an American astronomer and “Harvard Computer” who was paid only slightly more than a factory worker to polish up the work of astrophysicist Edward Pickering, then the director of Harvard College Observatory. Maury went far beyond it, improving the entire system of classifications the catalog used. The result was published in a catalog of stellar spectra in 1897. Though ignored at the time (and a resulting row with Pickering lead to her departure from the observatory), the work was incorporated into additional catalogs from other scientists. She eventually returned to the observatory, and today has a crater of the moon that shares her family name. In honor of Antonia Maury’s work in science, and to celebrate women’s history month, we’re sharing more Wikipedia articles about women scientists that have been created or improved by student editors. From Karyl Ketchum’s Gender and Technoculture course, student editors at California State University, Fullerton worked on 45 different articles, including creating a stub article on the “I Look Like an Engineer” social media campaign, dedicated to challenging stereotypes by sharing images of women in engineering fields. Other students tackled the article on Jackie Akhavan, a British chemist who works on bomb-detection devices. Another student developed an article on Judith Esser-Mittag, a German gynecologist who created (and appeared in US television advertisements for) the o.b. tampon. Students also created an article for Mary Ann Leeper, who founded and chaired the Female Health Foundation to advance women’s health. Thanks go to these instructors and student editors for helping to improve Wikipedia’s coverage of women across the sciences!